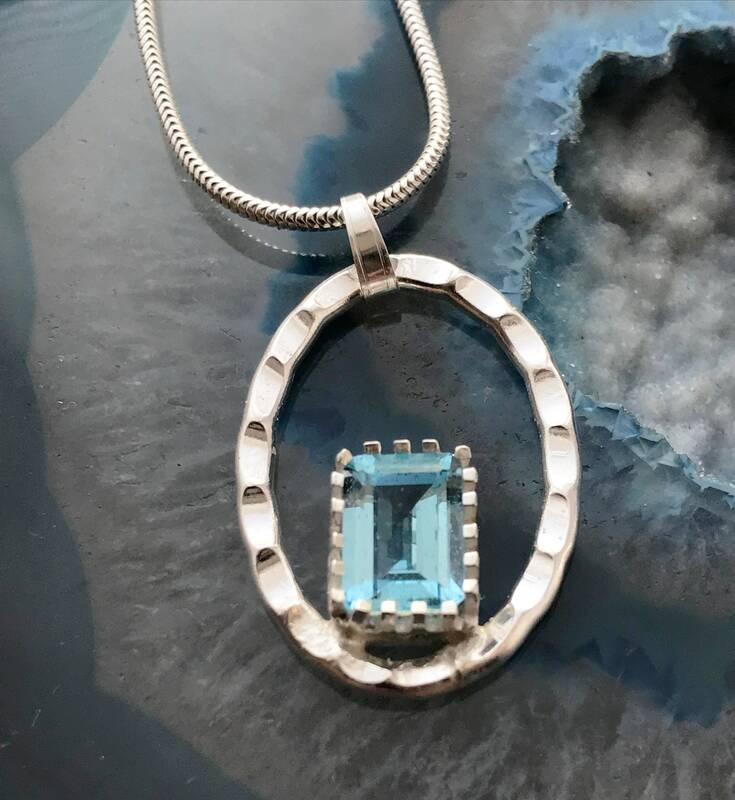 A gorgeous 8x6mm Blue Topaz Octagon faceted cut stone set in an oval hammered sterling silver surround. 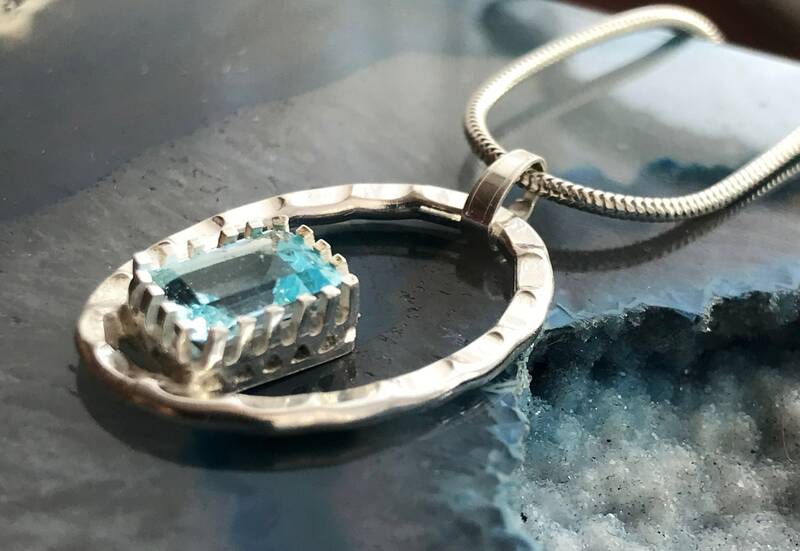 The stone has wonderful clarity and cut and catches the light beautifully. The piece pictured is the piece you receive. 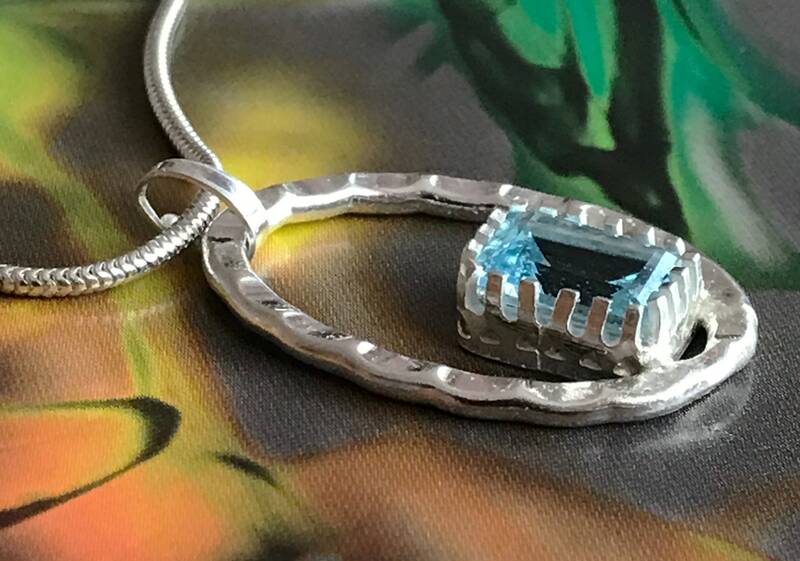 As with all of my pendants, the piece comes with Sterling Silver chain (16").